Martinique Whitsunday offers spectacular sea and island views over the sparkling turquoise waters of the Coral Sea to the Whitsunday Islands. 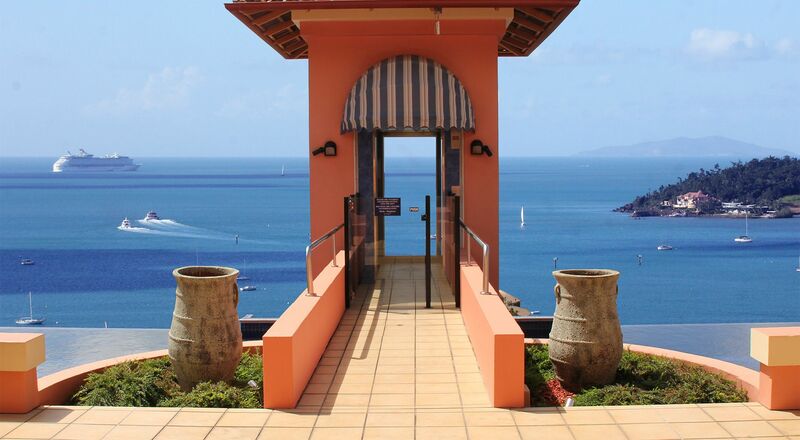 Classical French Caribbean architecture has inspired the design of these exquisitely styled 1, 2 and 3 bedroom holiday apartments. Looking for luxury? Martinique Whitsunday Resort offers spectacular sea and island views over the sparkling turquoise waters of the Coral Sea to the Whitsunday Islands. Classical French Caribbean architecture has inspired the design of these exquisitely styled 1, 2 and 3 bedroom, 4.5 star holiday apartments. Martinique Whitsunday Resort offers four three bedroom penthouses, five two bedroom and ten one bedroom apartments, to accommodate parties of all sizes. 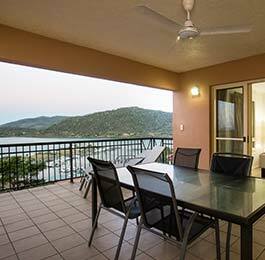 Not only are the views magnificent, but the resort is in a prime location only 250 metres from the main street of Airlie Beach. Located just steps from the centre of Airlie Beach, at Martinique you will stay in a stunning location with easy access to all local amenities. 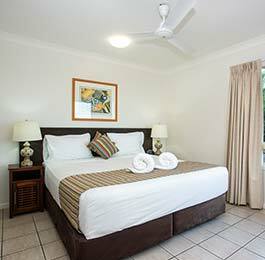 Our resort is situated on a hill overlooking the vast turquoise waters of the Whitsundays. When you head on a day trip to explore the islands, you’ll find water taxis, yacht charters and more, all within easy reach of the Martinique. Martinique Whitsunday is located approximately 1300 km north of Brisbane in the rapidly developing tourism area of the Whitsunday’s, Queensland. Martinique has amenities galore. From essentials like undercover car parking, a gym, and WiFi to special features such as a 20m infinity swimming pool, a heated spa and a spacious, tropical deck area, you_ll be living in the lap of luxury during your time with us. The Airlie Beach resort is five levels including a three-storey building, built into the hill over two underground levels. It features an internal lift from level one to level three which has views overlooking the water and a walk-bridge crossing above the large tiled infinity pool. The heated spa pool is also on the main leisure deck. Rachelle G AMAZING! We stayed here in October for 4 days and had the absolute best time! The infinity pool and the view were beyond spectacular!!!! The apartment was way beyond our expectations! Everything was so perfect! The weather wasn't the best, but definitely didn't ruin our stay! Loved the location of the Martinique as it was close to all the shops! The only thing was the steep hill! I didn't have a problem with it, but after a few beers, my husband had to take a few breaks on the way up!! When we come back to Airlie Beach, I have no hesitations that we will stay at the Martinique again! A wonderful place! Thanks for the great hospitality!! Anna Faulkner Auckland, New Zealand PICTURE PERFECT The Martinique was absolutely perfect! From the stunning views, to the awesome infinity pool, to the loveliest, most helpful receptionist, it was all fabulous! We were even lucky enough to be upgraded which was amazing. There is a very steep hill to get there but it's so worth it for the beautiful view. Gary S Bangkok, Thailand Postcard Perfect!! I have stayed here before several years ago and I was hoping time and the cyclone hadn't taken a toll on the place.......neither had thankfully. This place is hard to beat with the amazing views from every room, the infinity edge pool, large room and friendly staff, nicely appointed rooms, big TV and comfy bed. Downside is the hill.......it is a tough walk after a few drinks but the taxis are good. Overall highly recommended and we cant wait to go back. Sinead breathnach Portlaoise, Ireland Amazing view! Stayed in the 3 bedroom apartment for two nights. So spacious and has everything you could need. While the walk up the hill to the hotel can be difficult, it is totally worth it thanks to the amazing view from the fabulous infinity pool. Also, the staff are so helpful and thanks to them we were lucky enough to go on a day boat tour with Illusions to go snorkelling. I don't think I'll make it back to Australia but if I do, I would definitely stay at Martinique again. 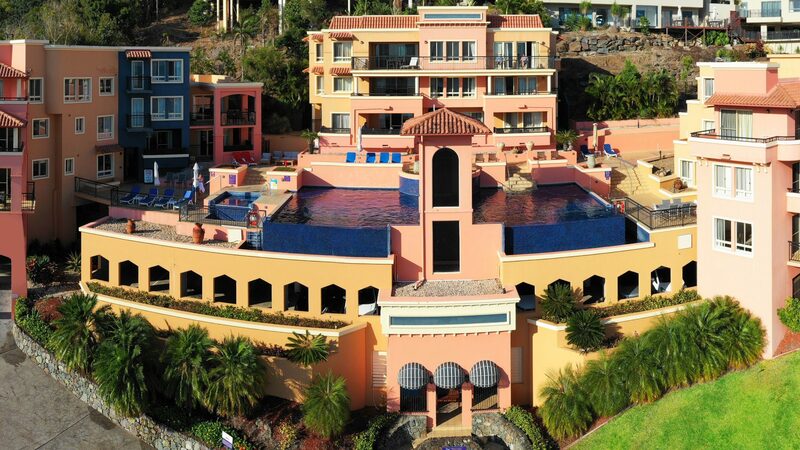 Craig P DARWEN,UK Stunning Views best enjoyed from Infinity Pool Great resort hotel enjoying great views over the bay and surrounding area . 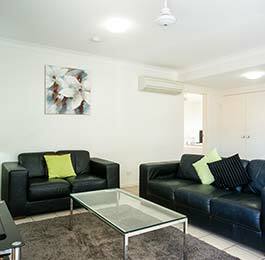 Excellent apartment style room with outside area and fully equipped with kitchen, laundry and dining facilities . Ideal for self catering but only a short stroll ( 5 minutes ) to a full range of excellent cafes and restaurants along with shops and supermarket . There is a steep hill which is worth the climb to enjoy the views but a 5$ taxi ride is always available if you don't fancy the exercise . Mandy, the front of house could not be more helpful with making recommendations with organising trips and restaurants and made our stay even more enjoyable . 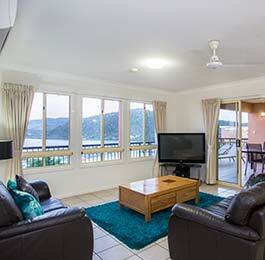 This is a great place to stay and enjoy all the fabulous Whitsundays has to offer. Absolutely Amazing! The staff was so welcoming and happy to help with everything! Pool was just phenomenal and the rooms were so spacious and comfortable. And the view were indescribable! Will be back for sure! It’s is located on a steep hill but the taxi service was great! Only $5 from town and quick as well. Fantastic stay! David S A great stay with a great view A spacious apartment with lots of useful features including a welcome pack of essentials (tea, coffee & milk). 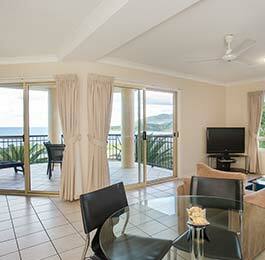 Stunning views from our room even better from the pool overlooking Airlie Beach. Friendly and helpful staff who made excellent suggestions for the cruise we did. We’d booked 4 nights originally but added an extra night because we liked the place so much. Anna G, Sydney, Australia Great service This is our third time at Martinique Resort. We came first two times with kids. Great place to relax near the pool, great kitchen, laundry service in the room. Friendly and professional staff. Will recommend and will be back. Jaydoskinder, Canberra, Australia Great resort Thanks Martinique for a great stay! This hotel is lovely with a beautiful pool and view. The owners are always helpful and willing to give you advice on your stay. Close to the main strip of Airlie. You can’t beat it! Thanks again. Jim M, Dallas, Texas Excellent hotel with million dollar views This is a great hotel (apartments with full facilities including washer and dryer, stove and full-sized refrigerator) with an infinity pool overlooking the harbor and bay. It is a 5 or 10 minute walk to the downtown along a short but very steep road with a Woolworths and bottle shop very close to the end of the road. Good service by the management. Nicole, Glasgow, United Kingdom. Gorgeous apartments! Stayed here with my mum for a week. Started the stay off great with the friendly & helpful receptionist, she was a delight to bump in to all week! Apartment was big and very clean. Had everything you need for a weeks stay; all kitchen facilities, washer & tumble dryer, & a balcony with the most gorgeous view! 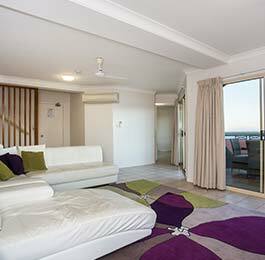 The apartment complex has a wonderful infinity pool with a view of Airlie Beach & the coral sea. It has a small spa bath which was always lovely & warm. Overall a fantastic stay & would highly recommend. I will be back! Can't wait to return, Martinique is only the place you want to stay when you come to Airlie beach!! The managers were amazing hosts. the views are outstanding and the apartments are great! Our fav part is the infinity pool and spa looking over airlie out to the water! cant wait to go back! Robert, Coolangatta, Australia. Brilliant value for money with priceless views. The managers Sanja and Zac are very friendly and attentive and made us feel very welcome, thanks. The self contained apartment was clean and had all the comforts of home. Walking distant to all the restaurants and cafes. The infinity pool was crystal clear and the perfect place to take in the water views.